This text appeared in a south German newspaper in 1903. The fearful “reforms” consisted in giving girls (as well as boys) the opportunity to complete high school and qualify for university study. 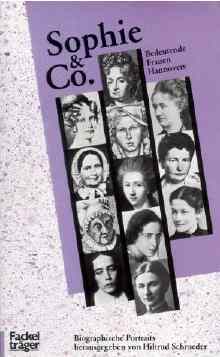 Hedwig Kettler herself had attended only a girls’ finishing school, where she received a kind of semi-education designed to prepare her for a life as homemaker and mother. 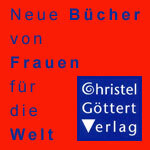 On March 30, 1888 she founded, together with other women of similar views, the “Frauenverein Reform” (Women’s Reform Organisation), later called “Verein Frauenbildungsreform” (Organisation for Reform of Women’s Education), which aimed at implementing the demand for equal education of male and female. It was thanks to Kettler’s initiative that the first German college preparatory school for girls (Mädchengymnasium) was established in Karlsruhe in 1893. And she smoothed the way for the founding of a similar institution in Hanover in 1899. Born 19 September 1851 into a civil servant’s family (her father was a railroad official), Hedwig Friederike Karoline Auguste Reder grew up in Osnabrück. In 1880 she married her cousin Julius Kettler; the couple had two daughters. The Organisation for Reform of Women’s Education submitted petitions to the education ministries of the German states, to the Reichstag (national parliament) and to the state legislatures. But with one exception all such efforts were unsuccessful. Only in Baden did the lawmakers wish to demonstrate that theirs was “a truly liberal state.” And on 16 September 1893 the first German Gymnasium for girls was established. The school exists to this day as the “Lessing-Gymnasium;” a request to rename it the “Hedwig-Kettler-Gymnasium” was rejected by the school council in 1993. 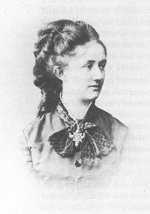 Starting in 1893 Hedwig Kettler campaigned for the establishment of a Mädchengymnasium in Hanover, her new place of residence. The “Committee to Complete Preparatory Work for the Establishment of a Mädchengymnasium in Hanover” was to raise funds for the organizing activities. The goal was to establish a full nine-year high school. Approval was only granted, however, for five years of “college preparatory courses.” By Easter 1899 eleven students were able to begin their studies at the “Sophienschule.” But the school could not administer official graduating examinations (Abiturprüfungen) until 1910; prior to this the girls had to complete their examinations at boys’ high schools. Undaunted, Hedwig Kettler continued her campaign for a full Mädchengymnasium. Since she felt herself let down in this effort by her Organisation for Reform of Women’s Education, she stepped down in protest as its director in 1901 and founded the Committee for Complete Girls’ High Schools (Mädchengymnasien). When it became apparent that this committee would also be unsuccessful Kettler withdrew entirely from the struggle for girls’ education. In the years 1905 to 1922 she was active as a writer and publicist. She wrote articles for magazines such as Westermanns Monatshefte and published Alltagsgeschichten (Everyday Stories) and Skizzen (Sketches) under the pseudonym Gotthard Kurland. Later she worked as an editor for the Berlin publisher Flemming. 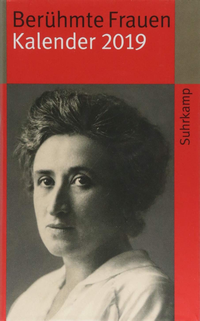 After the death of her husband she led a retired life in Berlin, where she died on 5 January 1937. Hedwig Kettler’s papers are located in the Hanover Stadtarchiv (City Archives).